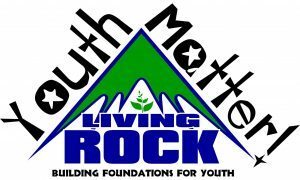 The Living Rock Food Bank (Underground Rock Shop) is the only youth-focused food bank in all of Hamilton and is the first point of contact for many youth and their families. As a part of the mission of the food bank, not only are the needs of youth met surrounding food and clothing, connections are also made to other Living Rock and community services, such as: educational, recreational, informational, social and employment programs. These programs address poverty by reducing barriers and helping youth to realize and recognize their strengths, increase social supports and make connections with needed resources. This entry point is often the beginning of forming trusting relationships for youth with members of the food bank team that leads to building foundations to help youth-at-risk securely grow. In 2015, the Food Bank has been strongly supported by 78 volunteers and 26 students that are hard working, passionate and dedicated to the youth we serve. The food bank would not be able to operate without their ongoing support. This model has been proven successful especially for youth with mental health issues as well as for those who struggle with several other difficulties. The atmosphere of the weekend food bank program allows these youth to visit for food, clothing and hygiene products in a setting that is often less stressful for them. individual donors and fundraisers such McMaster Meal Exchange (who has provided 14,200 pounds of food over the last five years) during a time when the food bank supply was low.